One positive thing this FIFA world cup had is that people became zombie-like creatures with soccer as their main conversation topic, motivation and concern. In some ways, the entire country was "paralyzed", expectant of each and every match, and my customers were no exception. Since I couldn´t care less about soccer, I used all this free time to finish the Omega nest. Besides the actual levels and tile work, I also updated the tilesets, adding more variety and a couple of colors to the palette, so the bubbles look smoother. The lighting effect was tweaked also, with a bigger area to make enemies and spike avoiding less frustrating. The old version can be seen in this preview. About the Super style suit, if the varia version gets finished, I might include it as an optional selectable style. It´s not that complicated to implement, and there are already some Super Metroid gameplay options already. Up next is the final area, and after that a lof of AI coding, testing and tweaking. Things are starting to feel so close to completion, but also still too far away. At least AM2R is still going. Awesome. I find that the sports that have come to be known as traditional are boring, pointless, and just not very much fun, and to have those I so loath (people who mindlessly follow these sports) unknowingly help me get closer to playing this is the greatest form of comedic irony. I'm argentinian too and I recognize that football is one of this things that corrupts people's mind. Larga vida a DR M64! Wow, I can't imagine being in Argentina around the World Cup... you belong in the USA -- no one here cares about it! But I'm glad to hear that it's still going along well! OMG!!!!!!! I am so exited!!!!!!!!! Dude I can't wait to play the final game. Do u know were I can learn how to make mods???? I think I know how but I haunt actual tried it so I just whant to make shure. Keep going man, you're getting so close. I mean heck, no matter what, we at least have 90% of the game territory to explore now. Love the new tiles as well. It's a big improvement over what little we saw of the old tileset. I'm with you man, soccer makes zombies out of everyone, needless to say I don't like it either. Keep up the good work!! keep up the good work man, im really looking forward to the final game. when do you think youll have it finished? ps: have you ever thought about any easter egg, as like the secret message in metroid fusion or so? I am glad indeed that this is still going. Since you brought up that point though, I have a question, then. Whatever happened to Metroid: SR388? It looked awesome, on par with am2r, here, but it just kinda disappeared a couple years ago. Meh. nossa cara esse projeto esta demorando muito pra termina. esse jogo era pra 2009. I would have thought that after 2 years of waiting, my excitement would have died down. But no--it just still looks so awesome. I know there are no promises, but any idea if you'll be finished before the year's out? Thanks for taking on such an exciting project. I dont hate soccer but I just dont really like it either. I am not in to sports. Anyways, keep up the good work! I cant wait to play your game. Happy 4th of July! hey is there anyway you could use the model from the SA-X from metroid fusion as the samus sprite model. I always thought that it was the best looking model for the 2d suits from every game. Creo que ya te lo he dicho, pero no puedo esperar a jugar a este juego. Espero que para el 2011 este listo. This is great. Just great. I'm really glad to see progress hasn't stopped on this project; the bubbles look great as well. It really does seem like it's nearing completion; Thanks for all the work you're putting into this. Awesome to see that this is still going, i cant even remember when i found out about this, but it still looks amazing. Look forward to the complete game. Oh man...you are amazing...keep up the good work...lots more to do...but you are so close...still take your time but keep going strong...I can't tell you enough how much I appreciate your work and am itching for the final work...I check everyday for your updates...truly amazing the amount of hours and labor you have put into this...a masterpiece...if I had a million dollars I would give it to you! Nice to see that there are other people also disliking this stupid sport! Great job! The new nest is definitely better! Keep it up! MMM BUENAS Y MALAS NOTICIAS :( QUE BUENO QUE HA MEJORADO MUCHAS COSAS NUEVAS Y DADO SU TIEMPO A DEDICARSE EN LOS DETALLES. LO MALO ES QUE LE QUEDA MUCHO COMO DIJO Y LO VEO PARA UN LARGO PLAZO. ESPERO QUE NO TARDE MUCHO EN TERMINARLO Y NO DEDICARLE MUCHO A LOS DETALLES. awesome the new nest looks great. your right about the bubbles they do look a lot smoother and cooler. great job as always doc. please keep up the good work. I check your blog a least a couple times a week for updates. I'm excited to hear the game is close to hitting beta. Its been a long wait but looks like it going to be worth it. Keep up the good work. In all seriousness, though. This is looking spectacular, Doc. I've always thought that, despite occasionally getting frustrated or burnt out on the work as can be expected, I've always known that you weren't the kind of guy to give up and let your project fade out of existence, especially now that you're nearing the final stages of completion. I have been beyond stoked about this for so long, just like all of the other people that have been following your updates. You keep it up and I wish you the best of luck with all of your finalization going smoothly. Hey doc I am so exited to see this game almost complete. But with the idea of completion also comes a question. What will you do after the game is release???? If you what to relax that's fine or if you whant to start a project completely original that would be great! I would recemend a 3d project next. You don't have tiles so when you whant to texture a flier you do the whole floor at once! You can blow through games like crayze. If your computer meets the requirements I would recemend "UDK" (udk.com) but if your computer doesn't I would recemend blender (blender.org). Just wanted to let you know, that you're doing an amazing job - keep up the work and take your time, I'm defnitely hooked by the videos - it just looks aaaaawesoooome! Just wanted to show my support for your work and this project. I've been following it for quite some time now (since the beginning) and am very excited and looking forward to the release when it is ready! Keep up the great work! That lighting effect looks... just.... beautiful! Oh yeah you should defenatly port The ORIGINAL Metroid 2: Return Of Samus as a bonus to play like Zero Mission has the original Metroid. For all of you that suggest that he ports the game remember that nintendo lawyers are on him enough already but using original sprouts and tileset will definitely get ether doc sewed, or the game shut down. If you whant to play the original game google it and you should be able to find one. If you whant to be able to save your game download an emulator and a rom. BE WARNED IN SOME COUNTYS ROMS ARE ILEGAL!!!! The US flipped when we beat Algeria, but I was too busy messing with Atlantis Lego sets. That said. I'm excited to give the beta a good shake. Rest assured, feedback and bugtesting will come flooding back. You have a dedicated force of optimistic fans for support, don't forget that. Yeah. Definitely DON'T put the original game in there as a bonus. I already have the game in both cartridge and rom form and anyone with half a brain can find a site that will let them download it. Don't set yourself up to take a fall any larger then you might potentially take. Nintendo hasn't shut you down yet, but they definitely will if you do THAT. I mean I guess socer is kinda fun to play, but When u watch it on tv it's just so slow bc the feild is just so big it takes forever to get from 1 end to another. They run...and run.... They pass.....they run they run.....wools taken by the other team.......they run they run....taken back by your team....well you get what I mean. Which is why I choose Foosball over everything. This is not your everyday darkness. This is...advanced darkness! 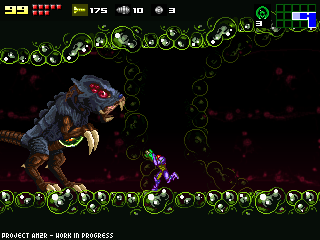 Seriously, I would beg nintendo until i die to remake Metroid 2. I've always wanted to see a better version of it ever since i decided to play it earlier this year for the first time. Great work, the game is looking awesome, can't wait till it comes out, oh, and just wondering, how do you use the mods for the tech demo? To install the mods for the tech demo, simply replace the files of the demo with the files of the mod. Aka when you go to stick the mod files into your confrontation folder and it asks you if you want to replace everything, click "yes to all" and you'll be good to go. You might want to back up your original files though. I have been following this project for a while and I'm very encouraged to see that it's still going! Thank you (and others involved) for your continued efforts on this project! Keep up the excellent work and know that your work is greatly appreciated! Ya me parecía que no podías ser yanqui: "Todo el mundo acá está como zombies con el fútbol". Asi que un argento haciendo una remake del M2. You could try a "Morph-ball Soccer" mini-game. I didn't expect much when I found one of your early videos on Youtube, but the fact you've already done that much, and have various forms of metroids already in the new style... very nice. Throwing this blog on follow. Hey dude, I just have to say thank you for remaking this game. Nintendo is too stupid to do it themselves. 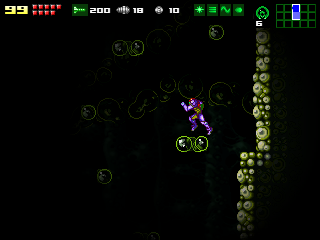 The Zero Mission-compatible SA-X sprites are available on Metroid: Fan Mission. One important suggestion Doc, let people choose their suit from the start (like in the Sega Saturn version of Castlevania: Symphony of the Night as opposed to the PSX version), because why would they play through the entire game with a suit they dislike? @MichaelGabrielR Yes, people were complaining about your lovely arm cannon, myself included. That'd be because the arm cannon IS at a strange angle. It's very strange that Samus can shoot straight forward somehow when her cannon is pointing slightly upwards. We're all serious fans here. You expect us NOT to notice?! If you're gonna screw it up the first time, you have no room to grovel. Also, I don't think you answered the other dude's question at all. When this game is all finished and polished will I be able to play this on an emulator? I dub thee, Sir Purplecowadoom... the people's champion. cara termina isso logo tá demorando muito. The game is great so far, and it's starting to feel like an actual Metroid game, but there's one really big problem that I have, and I'm sure some other people may. If you enable a Gamepad to play with, the up, down, left, and right buttons are limited to the Joystick. It's very difficult to play with the Joystick (atleast for me), and if a D-Pad function could be added for controlling Samus, that would be a huge help. Would you rather have beams being shot couple of pixels above the arm cannon? It was really hard to make it as low as in the original Metroid 2 (or Super Metroid for that matter) and still be compatible with Doc's engine. Nevertheless, if you think that you can fix this then let's see your contribution to this project. I'm curious to see the improvements. Having said that, the SA-X sprites suffer from the same issue - aligning everything up, so (to the best of my knowledge) the problem was addressed. Thank you for your time. You can just use something like a wired xbox controller. Just sync it to the Keyes you have set, and ur ready 2 go. I did that with the demo. NO PUEDO ESPERAR PARA JUGAR EL METROID YA TERMINADO!! MAKE THIS A ROM ASAP. @MichaelGabrielR No, I would not like shots being fired a couple pixels up from Samus' cannon, and I don't doubt the difficulty in making your work compatible with Doc's. You could always ask Doc to show you how to tweak the engine after he releases it though. Don't know if he'd let you or not, but it couldn't hurt to ask him. I'm no programmer, but it at least SOUNDS like an easy fix. Next thing you should probably know: I'm a hypocrite, and I will shamelessly admit this to anyone who inquires. Therefore I am immune to that "step-up-to-the-plate style retort" of yours. Now, the other dude said he wanted to know how to stick the SA-X sprites into the game, not stick them in there and make them WORK. So don't you think it would be funnier to tell him how to do it despite knowing what will happen and watch the ensuing fireworks? I think so. Changing the sprites is as easy as editing the PNG files in the "spr" directory of Metroid: Confrontation. Changing them so that they look properly is a whole different story ;). Changing the engine to accommodate the arm cannon might be easy (to those who don't know it yet, it's made in Game Maker), but think of the consequences. It affects the controls, level design, difficulty, boss fights, among other things (and we don't want to make the Doc redo all of those areas...). Nice job, man! Looks cool. I can't wait to see the final game (or a beta >.>). It really is nice to see a remake come to fruition. That's true. But again, it's a whole different issue. I'd be one of the people who would play all the different versions of it if it came to that though. I am extremely quick to adapt to new things in a game, particularly things related to changes in weapon trajectories. But would it really effect the gameplay that much if the shots were moved just a few pixels lower? I should think in most cases they would still hit their marks. And for the instances where they don't hit their marks: Who says Doc has to fix the problem? It's not Doc wanting to change sprites all the time. That's why I said you (or whoever else wants the changes in there) should ask him how to change stuff themselves when the game comes out. If he says yes and shows them how, that which wasn't really his problem in the first place REALLY isn't his problem anymore. Lastly, if I sound abrasive to you, forgive me. I am getting over being sick, I threw up in my bathroom sink yesterday morning, and now I have heartburn that won't leave. I've been abrasive to EVERYONE lately. Whatever you do, DON'T drink milk for the time being, because it only increases the production of stomach acids. One more thing - simply try using garlic (natural antibiotic), some vitamins and get a lot of rest. can you put up the percentage of each thing that you completed like last time the on the next update???? Wow!! Incredible Stuff!! I haven't visited this blog in ages, and when I wasn't looking, a huge ton of progress was made!! Awesome Work!! @MichaelGabrielR Thanks for the support. I got plenty of rest, and while I DID still have heartburn this morning, but I'm doing better now. Anyways, I hope that everything works out with your mod. Even if you end up not being able to fix the cannon, or for whatever other reasons don't fix it, I suppose I'll still probably play it. And way to go with the Super Metroid Suit... (funny, I remember someone in the Metroid 2002 mod section made the SM suit's colors more like Prime). And I guess there's no unlockable Fusion Suit [or suitless] bonus yet (maybe for beating Very Hard/Challenge Mode). I want to see Omega Nest. voce é o primeiro argentino que não quero matar. Brincadeira mano, tudo culpa do dom pedro.